Mitch Watkins discovered the guitar at age 13. Only months later, he was gigging with a surf band in McAllen, Texas. He hasn’t stopped since. His musical journey has taken him down many stylistic pathways, and to the far corners of the globe. Watkins performed and recorded with Leonard Cohen on his 2012-2013 world tour. 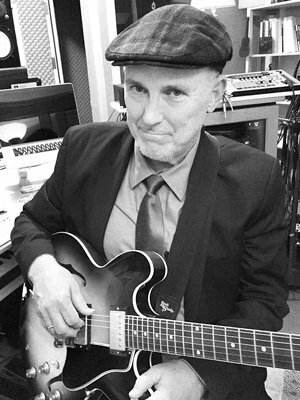 He was guitarist for Lyle Lovett and His Large Band until 2012, and has performed and recorded with Joe Ely, Jennifer Warnes, Jerry Jeff Walker, Paul Glasse, and many others. Watkins has produced CDs with Bob Schneider, Abra Moore and many others, as well as having five CDs to his own credit. Mitch Watkins has appeared with Conspirare for the Considering Matthew Shepard performances and recording.